Like the soft sound of a mother’s voice, a relaxing massage or a warm embrace from a friend – a water source close to home can soothe people. Just watching and listening to water flow can calm your nerves and lower your blood pressure. Want to find peace and tranquility in your life? Believe it or not, it is a proven fact that the therapeutic effects of water within landscaping can actually improve physical and mental health. There is a scientific reason that a shower refreshes us and we flock to the ocean and lakes on vacation. Aside from the fact that the aesthetics of water features are both calming and appealing, falling water releases negative ions into the atmosphere. That may sound bad, but it is actually the opposite! Those negative ions can have an overwhelmingly positive effect on both the body and mind. Blood flow and the oxygen content within cells are increased. This stabilizes respiration, which causes a calming effect and improved mood. Studies have even shown that hospital patients with a view of natural landscapes recover faster and require less pain medication. 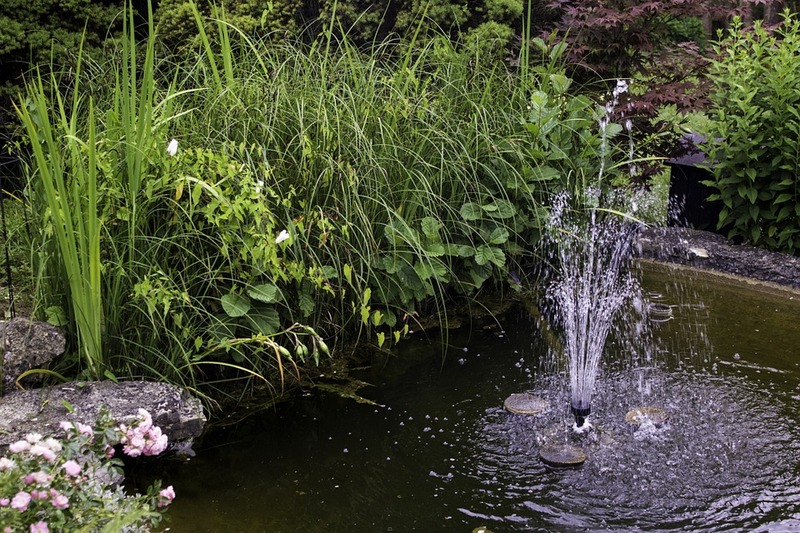 If you would like to add beauty and serenity to your life by incorporating a water feature into your landscaping, Edgewater Yard Shop would be happy to help. Our landscaping experts would be more than happy to answer any questions you may have about adding a beautiful fountain or pond to your yard. Of course, we would also be pleased to provide any supplies you might need.